Dr. Meg Stohlmann is an Assistant Professor in the Hayes School of Music where she conducts the Appalachian Glee Club, teaches and coordinates Class Voice and supervises choral music education practicum students. 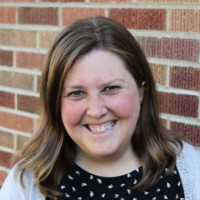 She recently graduated from the University of Washington with a DMA in choral conducting where she conducted the University Singers and Men's Glee Club along with teaching private voice to music theater majors. Meg was also the director of music at Rainier Beach Presbyterian Church and a Teaching Artist and Conductor for Seattle Opera's Youth Opera Project and summer programs. Originally from Santa Rosa, California, Meg taught choir and guitar at the middle and high school level in Lexington, KY for six years and conducted the Danville Children's Choir. Her children's choir and high school advanced women's choirs performed at the Kentucky Music Educators State Conference in 2014 and 2015, respectively. She earned her Masters degree in Voice Performance and Choral Conducting from the University of Kentucky in 2009. A graduate of the United States Air Force Academy, Meg also served on active duty in the Air Force for 5 years in Arizona, Korea and Germany. She separated from the military in 2004 to pursue a second bachelor's degree in Music Education, which she completed in 2006 at Sonoma State University. Meg's lifelong love of choral music began as a charter member of the Santa Rosa Children's Chorus where she sang for over 10 years and credits with her decision to make music education her career.